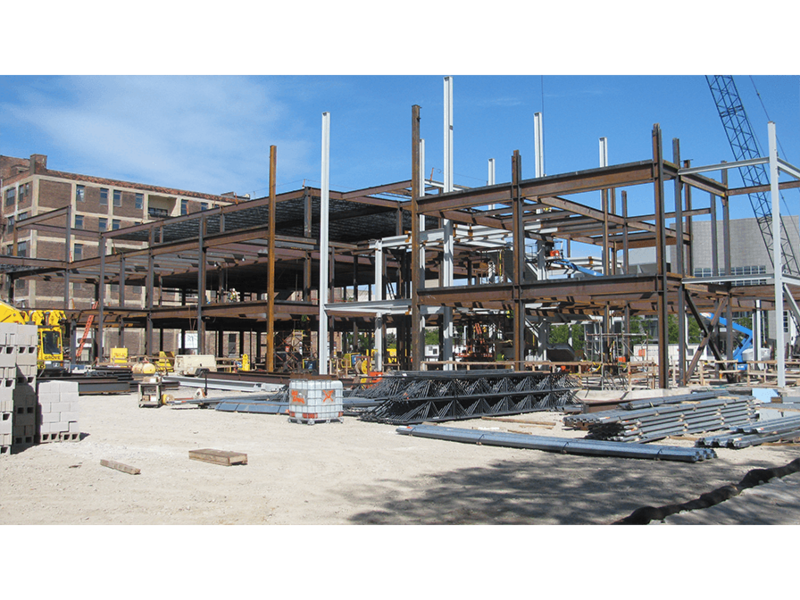 Supply and installation of structural steel (550 Tons), joist, metal deck, miscellaneous metals and ornamental glass and handrail required for the 2 story education project. 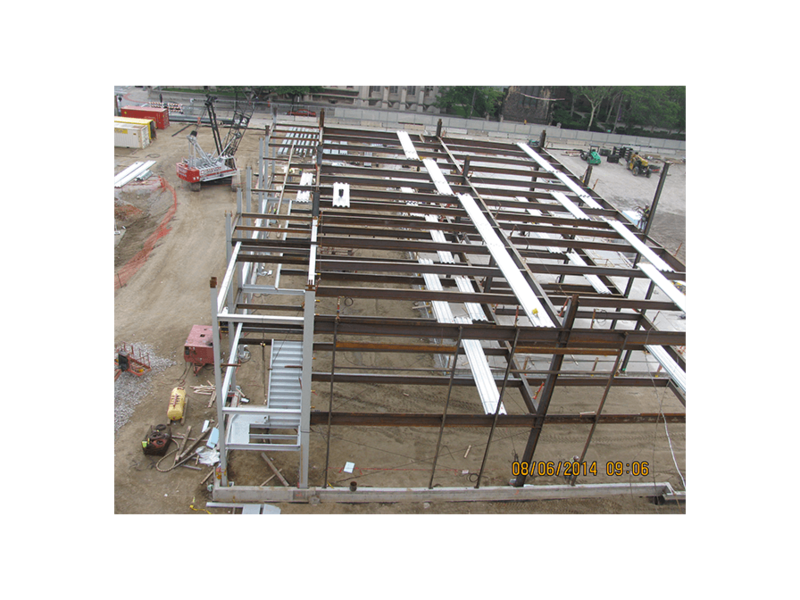 Project consisted of supplying detail drawings and connection design for all structural components including architectural canopies and vaulted clearstory atrium with cantilevered roof perimeter beams using Fabreeka thermal isolation material to minimize thermal transfer through the building façade. This 90,000 sq. 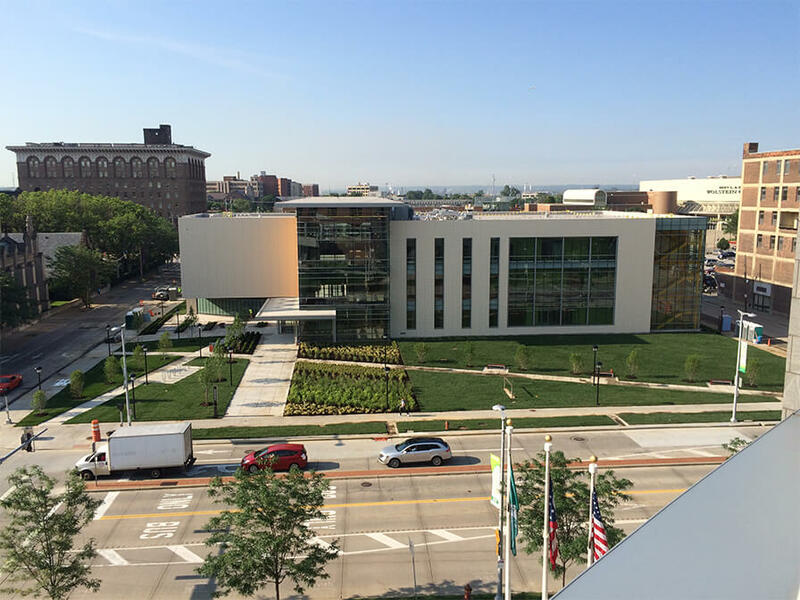 ft. state sponsored project was designated as a design assist project. 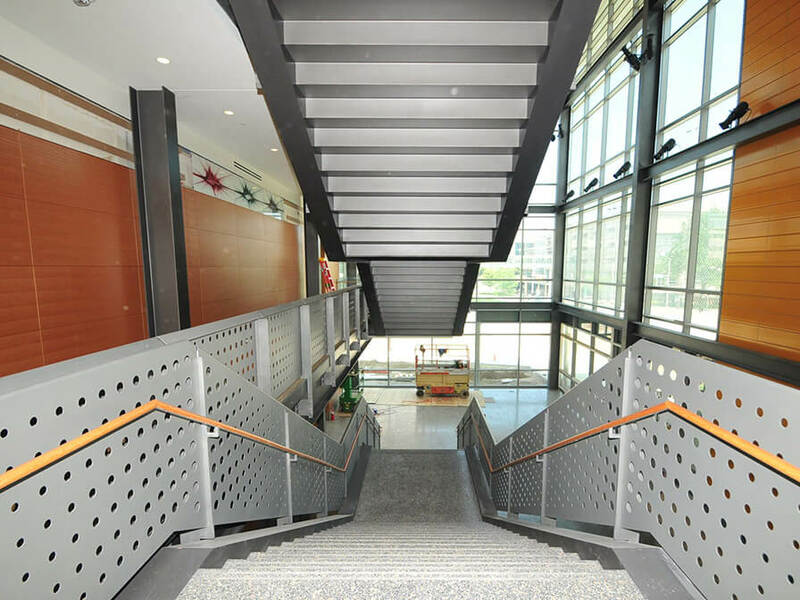 FCE and its fabrication partners provided input in the development of the building design during project development inclusive of the exposed-to-view stairways and featured atrium monumental stair and balconies with ornamental glass and railing. 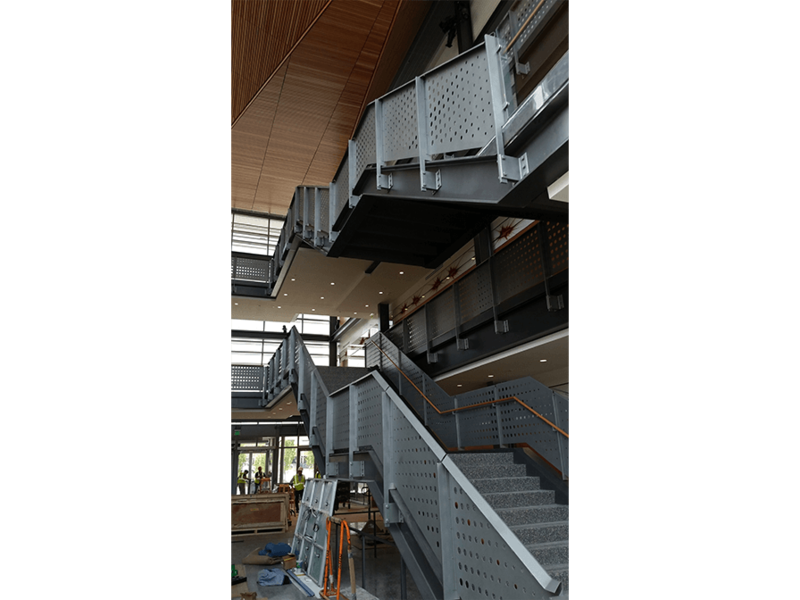 The ornamental rail was a costumed pattern designed and fabricated uniquely for this project. 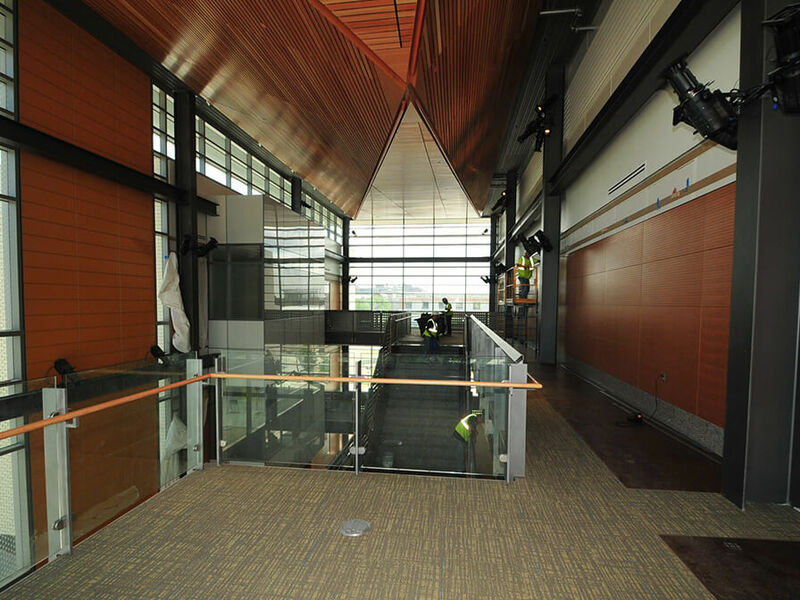 Project included exposed-to-view AESS structural steel at all stairways and atrium requiring a complex paint system with vibrant colors. 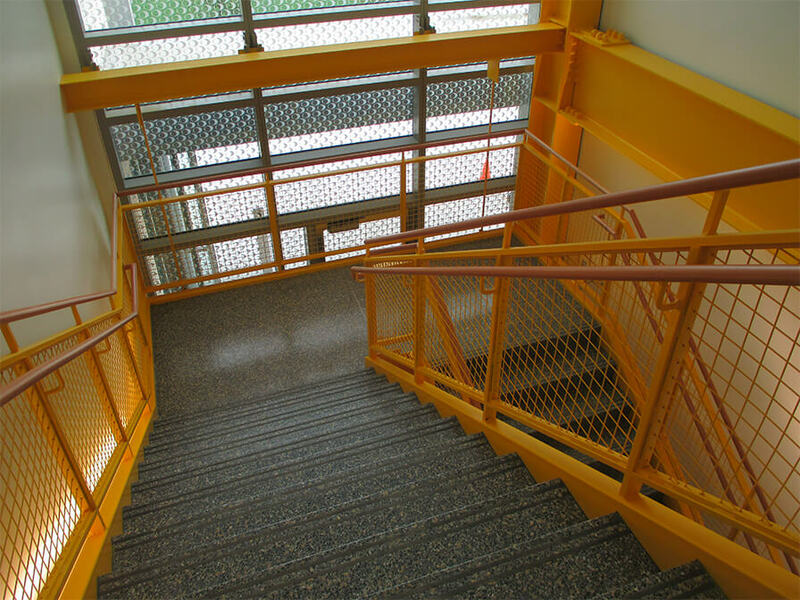 Ornamental rail was shipped from the shop with a multi-colored powder coated paint system.